After living in Sydney, Melbourne, and abroad, in London and Italy, love for home was just too big for Carole King, so she returned to Australia. That will mark her artistic career, as coastal environments of mangroves have made her work recognizable. Her respect for nature goes even further, as the trees portrayed have human attributes and qualities, like tolerant, tenacious, flamboyant, clingy and bossy. Every single visit to mangrove communities gave her artworks another level of depth and her love and obsession grew stronger. Water is also huge part of her art, clearly seen or suggested, as the artist knows the importance of water for all of life. 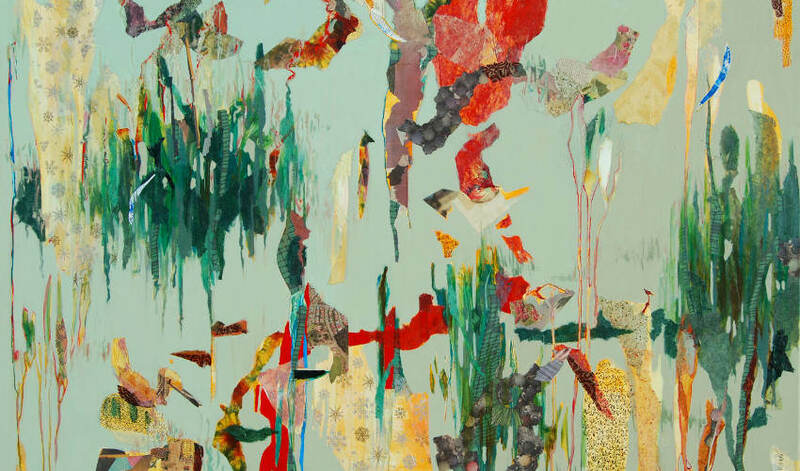 She made herself famous by combining painting on canvas with using collages of torn and cut paper, so they are not paintings in a traditional sense, but also not completely the collages. The coastal sceneries are presented in a way that the human attributes are clearly seen. Here and there a stubborn tree fighting the tide can be seen, or lonesome plants surrounded by the ocean of water. The water plays important part, as it surrounds all life and can either support it, or end it. There are no humans in King’s artworks, but all of our emotions are there. Happiness, sadness, even death, everything is presented quietly, but loud enough to be clearly seen and understood. She earned a Diploma in Fine Arts (majoring Color & Design and Printmaking), and a Diploma of Adult Education. When she lived in London, she had her first exhibition. After her return to Australia, King taught at Macquarie Community College in Sydney and tutored for The World Education Fellowship. Her talent and unique artworks brought several awards in the past decade. In fact, the artworks are so unique that the artist has been awarded several times in the past few years. 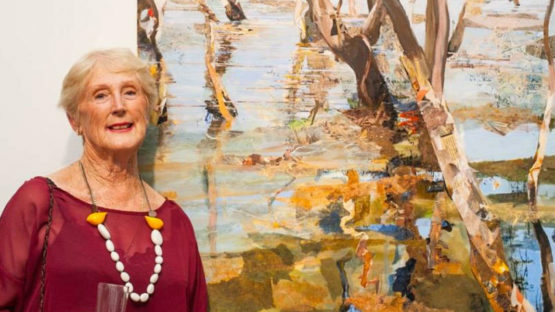 In 2004, she won The Warwick Art Prize, in 2006 The St. Bernards Hotel Art Prize and in 2008 The Royal Queensland Art Society. The most important award, though, came in 2014, when King was elected a winner of the Waterhouse Natural Science Art Prize. The awarded piece was titled High Tide, Wynnum, and it was named the best among 101 artworks. The piece possessed almost a perfection observed from distance, but coming closer to it really made things happen for both the viewers and the judges. King admitted she was surprised to win the Waterhouse Natural Science Prize, and said it was her first major prize. She felt excited, thrilled and grateful as well. Check for 50 000 dollars was presented to her, but she doesn’t paint for the money. All she could think was the fact that an artwork portraying fragile ecosystem was acknowledged in an international prize contest. She hoped it would lead to a better understanding of how much vulnerable and precious these special areas are. King is not just a phenomenal artist, she is also a great human being who deeply cares for the Australian environment. Carole King lives and works in Gold Coast Hinderland. All images, including featured – courtesy of 19 Karen Contemporary Artspace.